I look forward to welcoming you to Sofitel Queenstown Hotel and Spa. Experience a new level of sophistication at Sofitel Queenstown Hotel and Spa. Inspired by the charms of Paris with the warm hospitality inherent to Queenstown, be mesmerized by its tasteful combination of French antique elegance and local avant-garde design. 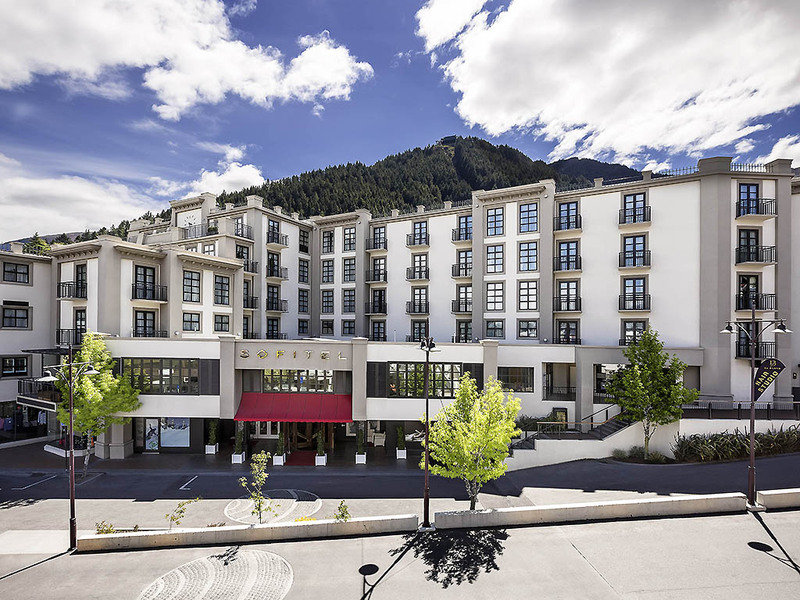 Centrally located in the heart of Queenstown, it offers 82 luxuriously appointed bedrooms and suites, featuring Left Bank Café open for breakfast, lunch and dinner, 1789 Wine & Jazz Lounge and Jervois Steak House. Elegantly and luxuriously designed, all rooms feature a Sofitel MyBed, double spa, separate rain shower, surround sound entertainment system, espresso machine, under floor heating, WiFi access and special French amenities. SUPERIOR ROOM, 1 King Size Bed, Double Spa Bath, Juliet Balcony. SUPERIOR ROOM, 2 Double Beds, Double Spa Bath,Juliet Balcony. LUXURY ROOM, 1 King Size Bed, Double Spa Bath,Juliet Balcony. LUXURY ROOM, 2 Double Beds, Double Spa Bath, Juliet Balcony. PRESTIGE SUITE, 1 King Size Bed, Double Spa Bath, Seperate Living Room, Juliet Balcony. Find a delightful atmosphere for breakfast and lunch at Sofitel Queenstown Hotel and Spa's Left Bank Cafe, inspired by the Parisian cafe lifestyle. A French Revolution has arrived... 1789 Wine & Jazz Lounge unveils an opulent design elegantly complemented by an indulgent collection of refined wines and avant-garde cocktails while a decadent tapas menu completes the extravagant experience.